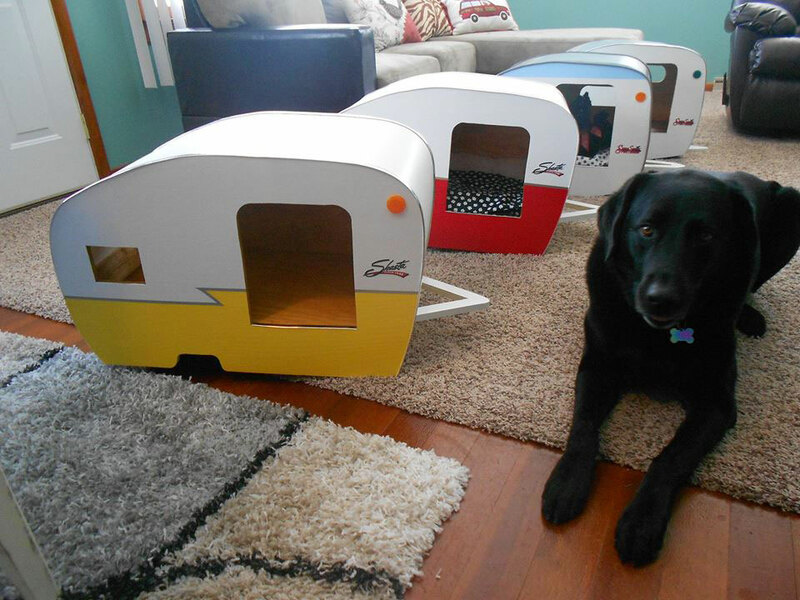 I have for sale, vintage dog trailers. 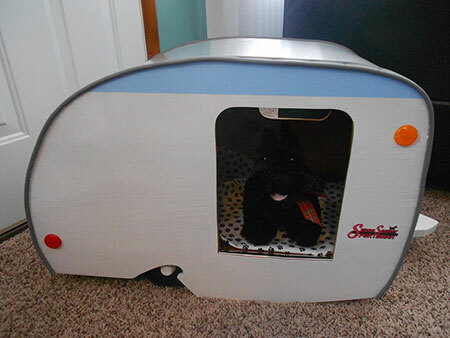 Take your dog along camping with you. 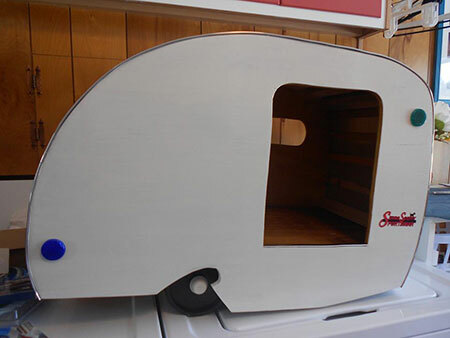 They are a great addition to your vintage trailer campsite. The walls and floor are made of 1/2" plywood. Interior walls and floor are coated with Bullseye orange shellac. Roof is poly vinyl or aluminum, according to your selection of trailer. Nice looking chrome looking edge strips for authenticity. Plastic marker and tail lights. 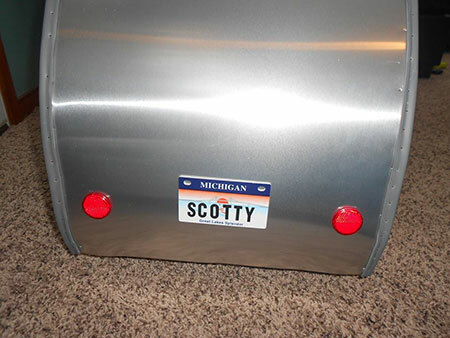 License plate, as well as a decal on trailers. Wheels are 4" plastic with a 1/2" steel rod axle. They roll on the wheels very easily. 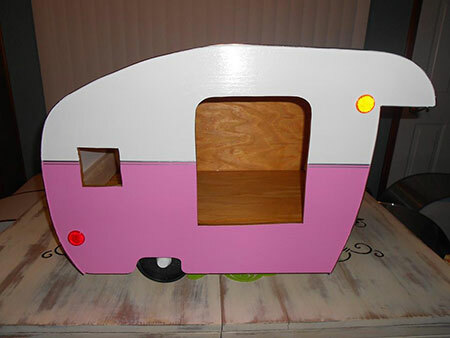 A dowel installed at the front "tongue" stabilizes the front of the trailer. Exterior sidewalls are primed and 2 coats of enamel paint are applied. Door width is 8-1/2" x 10" high. Overall length is 28", width is 15" and the height is 18". These are all handmade and measurements could vary a touch. 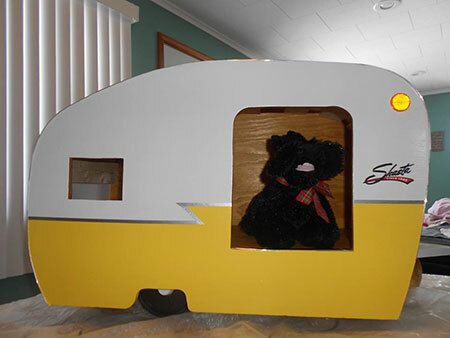 Can include a small amount of pin striping like the Shasta models have. These are made for show, and not to be left out in the rain and snow. 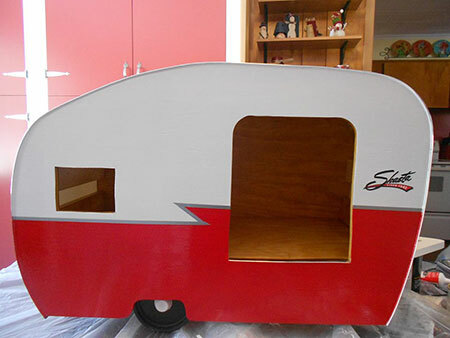 Any size can be made, as well as any custom trailer look, within reason. Please contact me with any questions you may have. I would be glad to answer them. Mark mkehoe55@hotmail.com or call me at 989-802-1448.